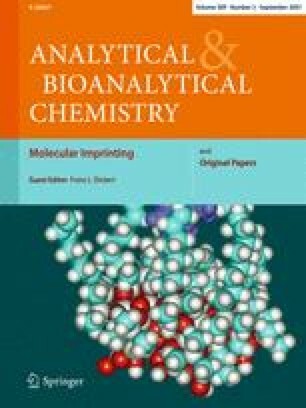 Molecular imprinting is a state-of-the-art technique for imparting molecular recognition properties to a synthetic polymeric matrix. Conventionally, the technique is easily carried out using bulk imprinting, where molecularly imprinted polymers (MIPs) are prepared in large chunks and post-treatment processes like grinding and sieving are then required. However, this strategy tends to produce sharp-edged, irregular MIP bits with a limited scope of direct application. In addition, due to the creation of binding sites within the polymeric bulk, the issue of the hindrance of adsorbate diffusion (especially in the case of macromolecules) during template rebinding makes the MIPs prepared through this approach unsuitable for practical applications. Thus over the years, many efforts to address the limitations of conventional molecular imprinting techniques have resulted in new imprinting methodologies. Systems like suspension and precipitation polymerization, where MIPs with tunable morphologies can be prepared, have been developed. Additionally, strategies like surface imprinting have also been employed. Ultimately, both of these approaches have been combined to prepare regularly shaped surface-imprinted MIP beads. Such an approach incorporates the advantages of both methodologies at the same time. Given their desirable physical morphologies and favorable adsorption kinetics, MIPs prepared in this manner show significant promise for industrial applications. Therefore, they will be the main focus of this review.